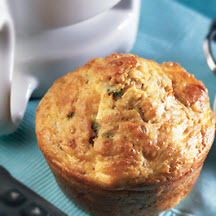 CooksRecipes has quality, kitchen-tested recipes for plain and savory muffins you can count on for successful deliciousness. 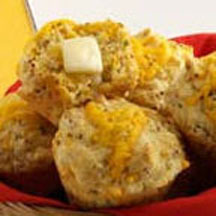 These herb-seasoned country cheddar muffins complement a variety of foods. 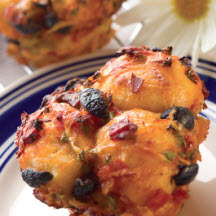 Recipe courtesy of California Ripe Olives. Recipe courtesy of The Incredible Edible Egg™. © Copyright 1999 - 2019 CooksRecipes.com. All rights reserved.